we received a contract of Rs. 2000000. 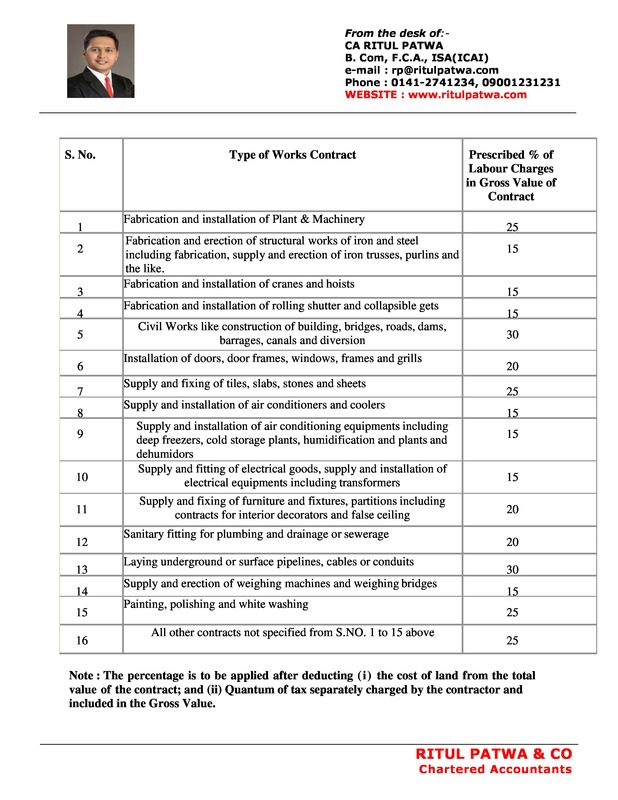 In this contract material portion is 60% and the rest 40% is for service. Now my doubt is, how will we calculate WCT on this ?? Vat rate is 5% and service tax is 14%. 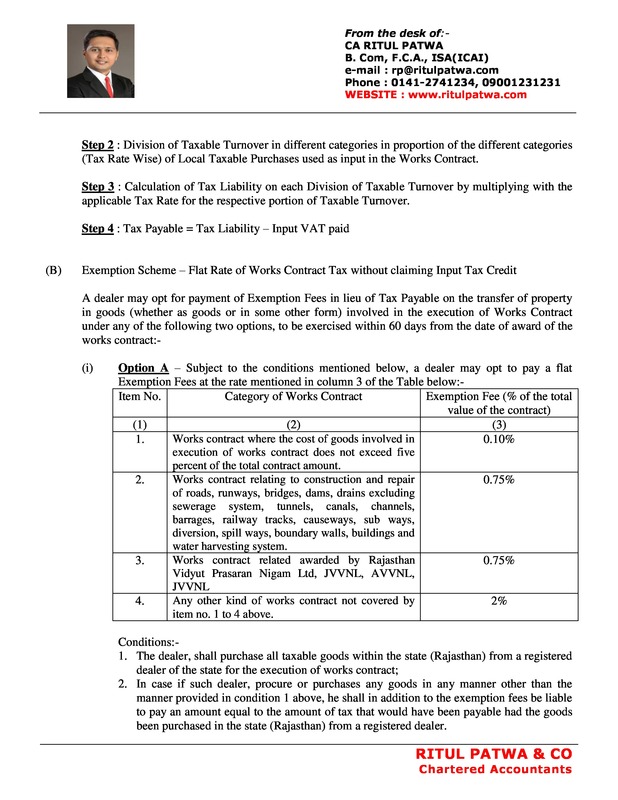 WCT will be calculated on the amount after charging VAT and service tax??? In your case you will be charging only WCT and VAT is not applicable. earth work in Railway in the State of Rajasthan. 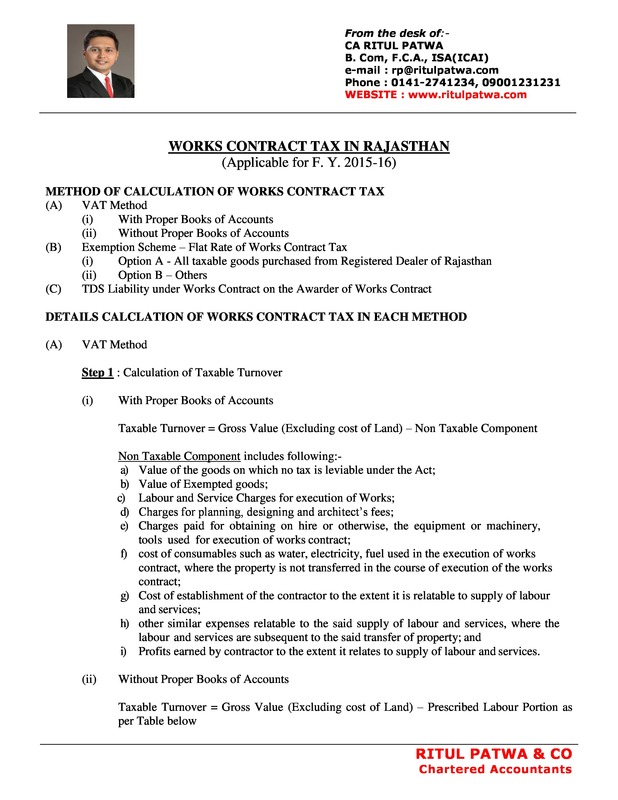 Please lets know about rate of VAT and service charges if any on works contract in Rajasthan. 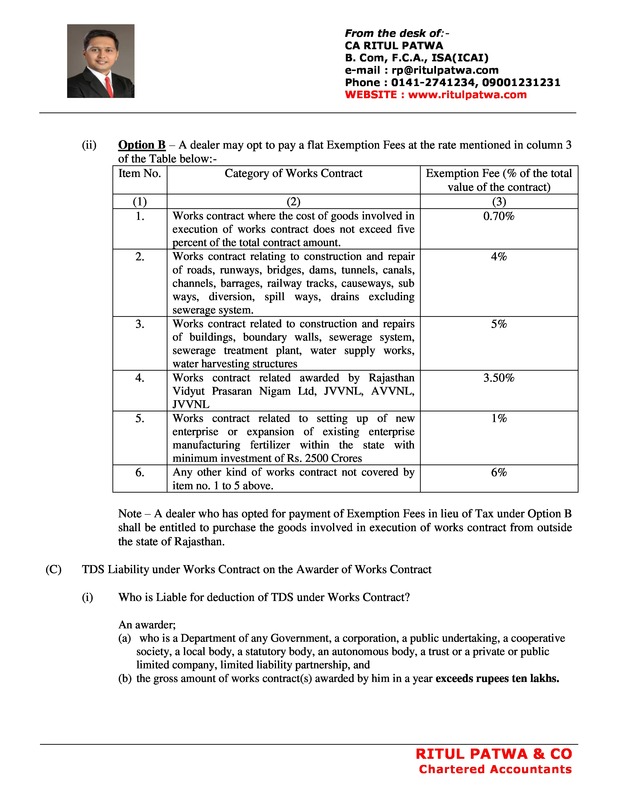 You will have to comply with (a) Works Contract Tax and (b) Service Tax. Please visit our office with specific contract details for identifying your Tax Liability and compliance requirements. 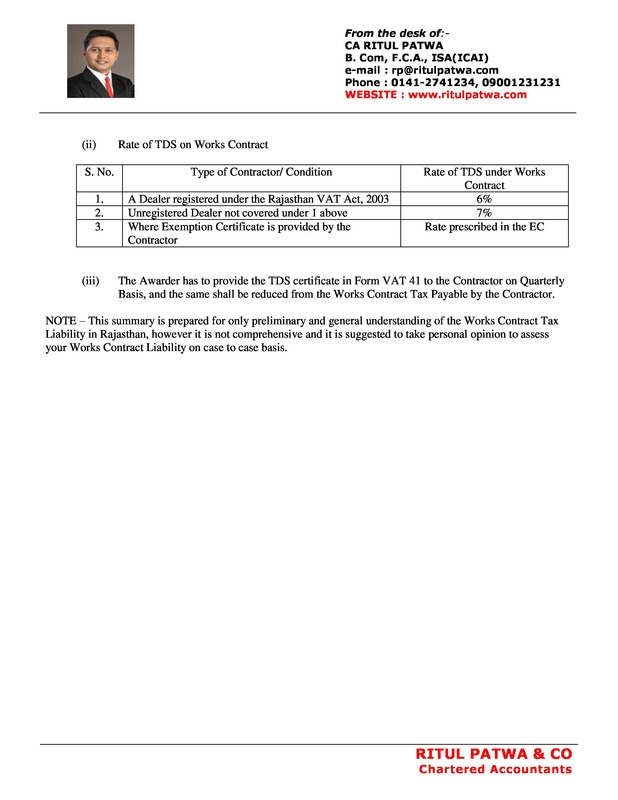 I wanted to understand whether can we pay WCT TDS via online. If so please let us know the procedure.